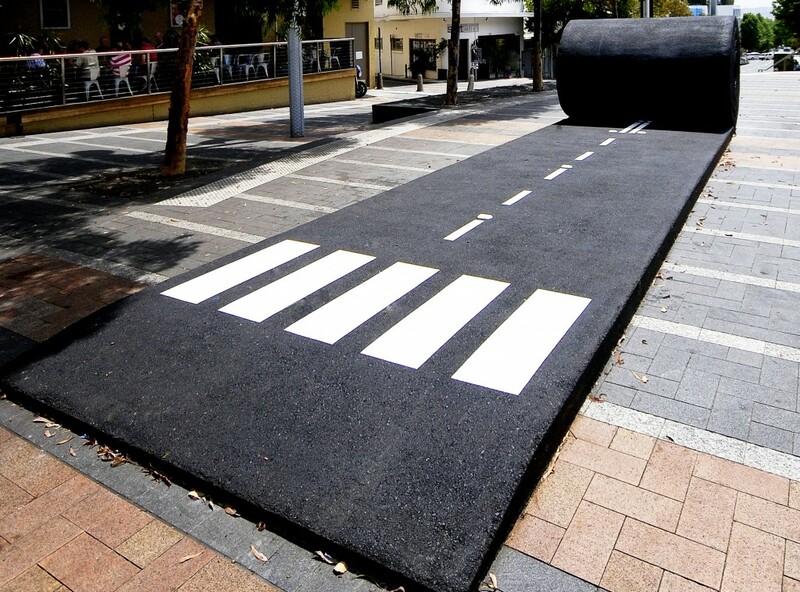 …essentially I am inspired by simple ideas… I think ‘less is more’ and enjoy seeing this demonstrated. 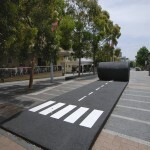 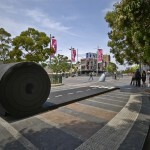 Louisa Dawson’s Unravel involved a giant roll of bitumen rolled out like carpet at Taylor Square. 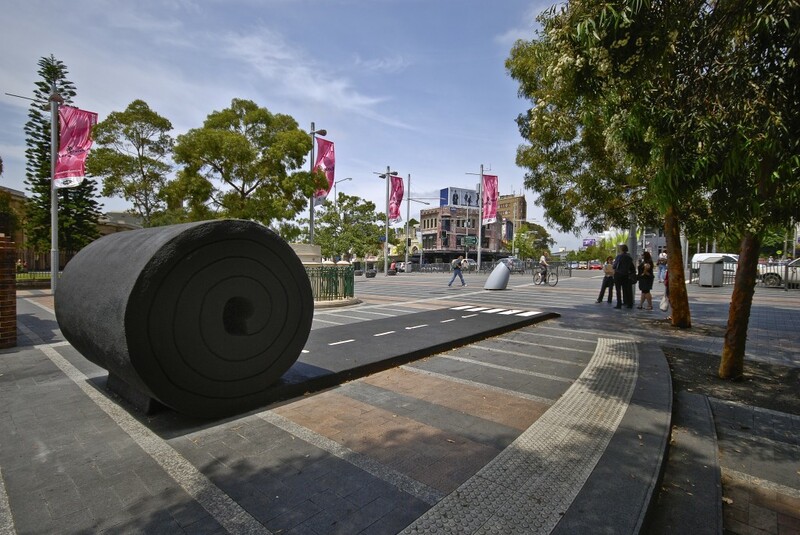 Effectively a large roll of asphalt that appeared to be unravelling, the sculpture highlighted the history of the city, as it appeared to roll out a section of road where Bourke Street once ran. 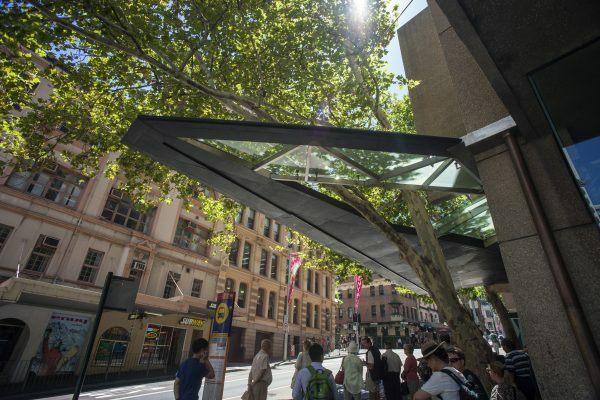 It expressed the history and challenges of the site and formed a playful comment on the complex and very relevant issue of urban planning in a dense metropolitan environment. 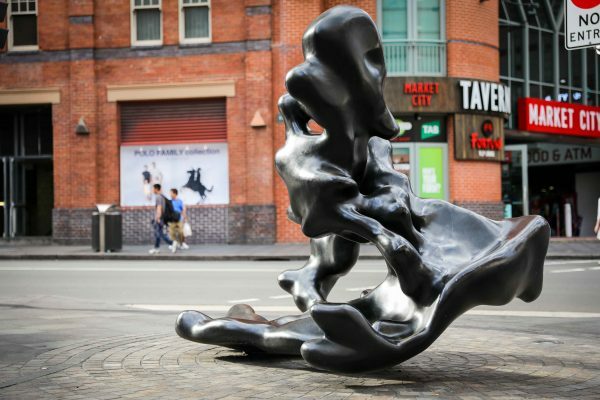 While an apparently simple object, Unravel unsettled the mind and challenged the viewer. 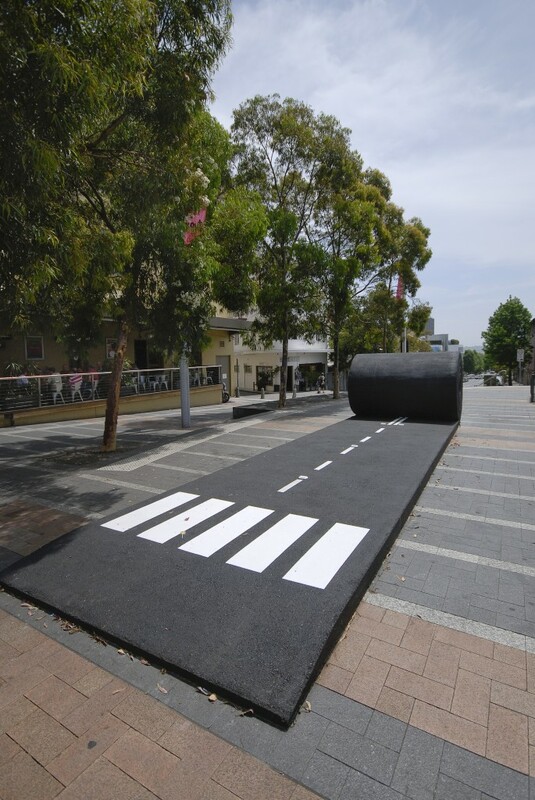 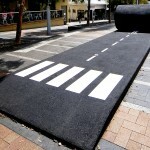 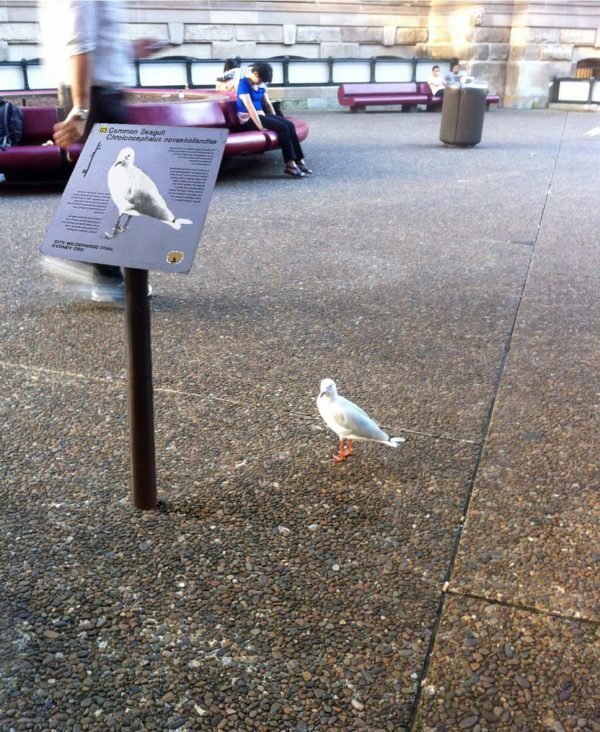 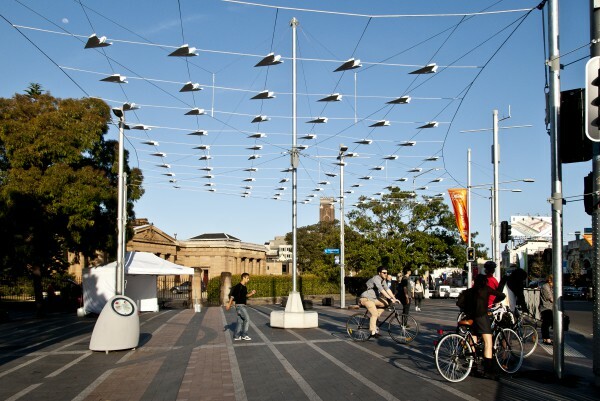 The installation provided an opportunity for discussion about Taylor Square’s uses and functions, questioning the dominance of urban infrastructure, where the asphalt has come to represent the ‘skin of the city’. 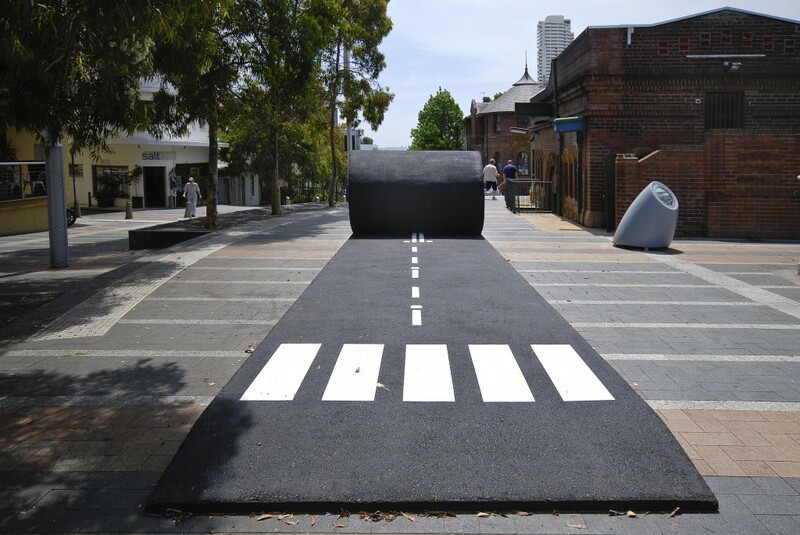 Intended as a playful provocation, the work served to examine the dominance of the car and the barriers it presents in achieving the City of Sydney’s vision to increase walking and cycling in the city. 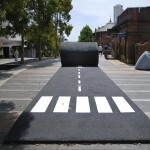 Louisa Dawson is a Sydney based sculptor working primarily in large-scale public works. 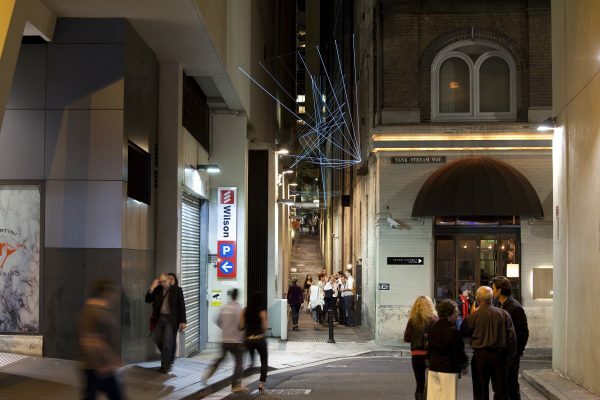 Since 2001, she has created sculptures that subvert the form and function of mundane and everyday objects in order to present a gentle socio-political critique. 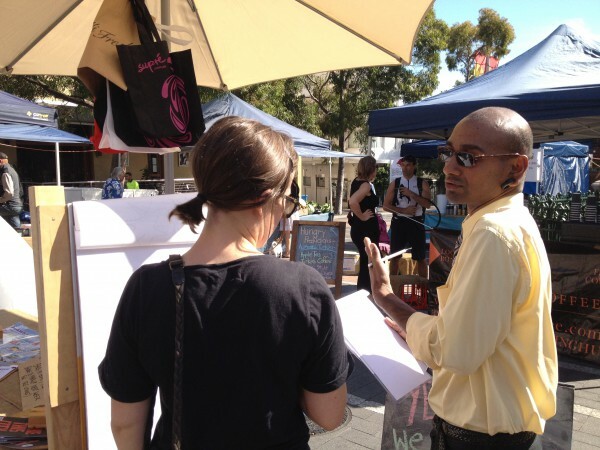 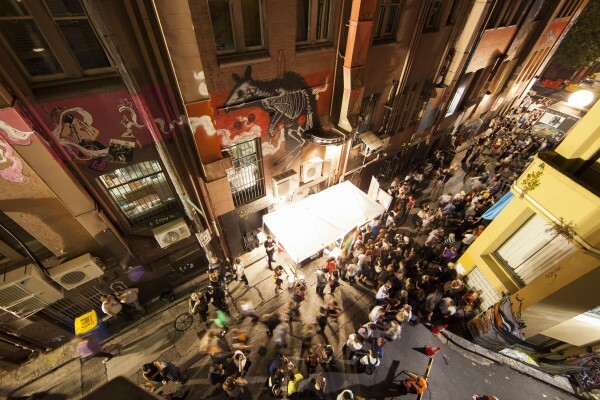 The Taylor Square art program ran from 2009 to 2013 and invited artists to develop temporary projects and installations that would transform the area from a busy intersection into a creative hub. 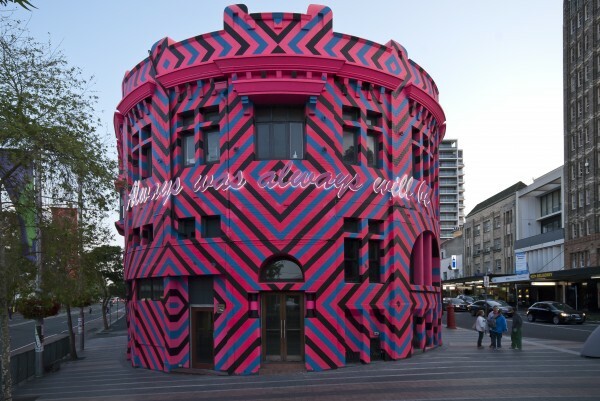 The first Taylor Square project was Unravel by Louisa Dawson.